The Florida Lottery announces that Wayne Bailey, 68, of Tavares, claimed a $5 million top prize in the $20 MONOPOLY™ JACKPOT Scratch-Off game at the Florida Lottery Headquarters in Tallahassee. He chose to receive his winnings as a one-time, lump-sum payment of $3,562,000.00. Bailey purchased his winning ticket from Eustis Food Mart, located at 2137 East Orange Avenue in Eustis. The retailer will receive a $10,000 bonus commission for selling the winning Scratch-Off ticket. The $20 MONOPOLY JACKPOT Scratch-Off game launched in September 2018 and features more than $407.5 million in prizes, including six top prizes of $5 million. The game’s overall odds of winning are one-in-2.97. The Florida Lottery is responsible for contributing more than $34 billion to education and sending more than 808,000 students to college through the Bright Futures Scholarship Program. 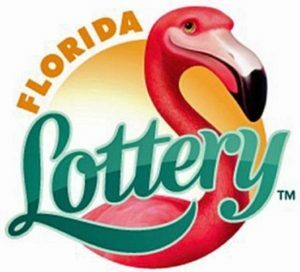 The Florida Lottery reinvests 97 percent of its revenue back into Florida’s economy through prize payouts, commissions to more than 13,000 Florida retailers and contributions to education. Since 1988, Florida Lottery games have paid more than $61.2 billion in prizes and made more than 2,000 people millionaires. For more information, please visit flalottery.com.